Badass. That is what these glasses are. We’ve matched a stylish two tone red and black frame with sleek Gold Mirror lenses to create one awesome pair of prism shades. These dual pane mirrored lenses are scratch resistant and gold tinted making them perfect for your next EDM festival or rave. 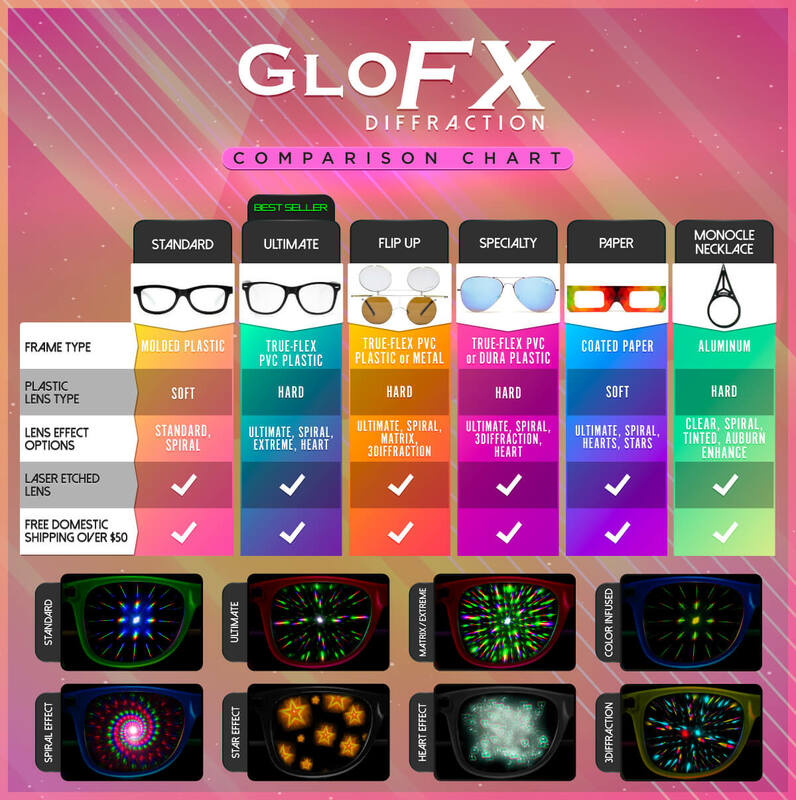 We wanted to bring something new to the table, which is why we’ve added this exclusive design to our line of Specialty GloFX Glasses. And no worries about durability, our red and black rave glasses feature steel hinges and a Lifetime Warranty! Good quality. Have bought other glasses and these are by far the best.